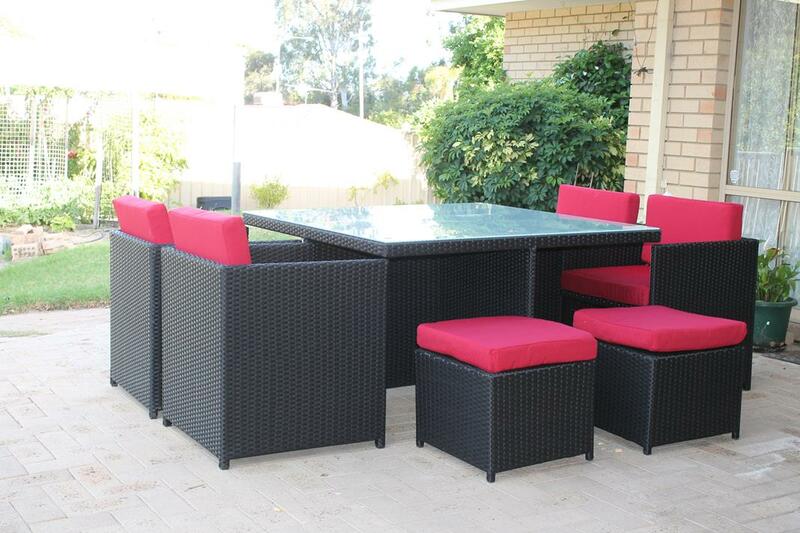 This dining set is great for seating 8 people, and not taking up too much of your precious space. All chairs and stools push in, to make a perfect cube. This modern, compact design is a favourite at Urbani Furniture. Put two sets together to make a 12 seater. 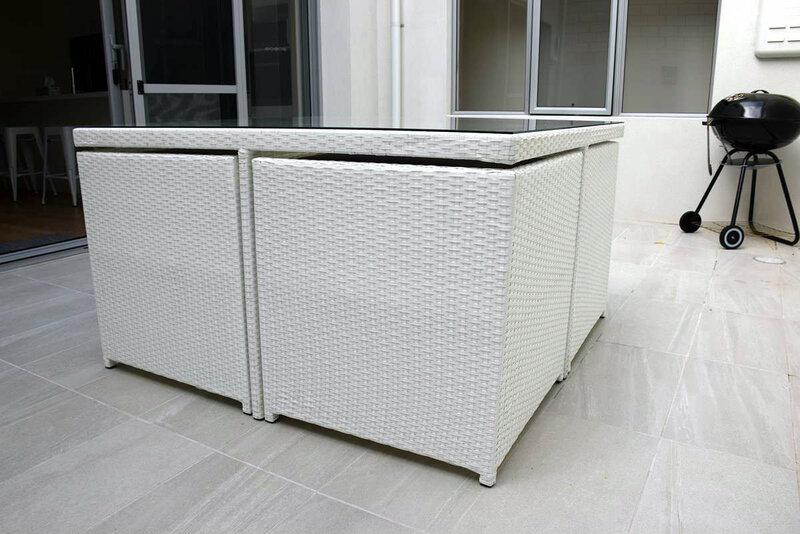 Table measures 130cm wide x 130cm deep x 74cm high. The set needs about 2.5 x 2.5m of space. 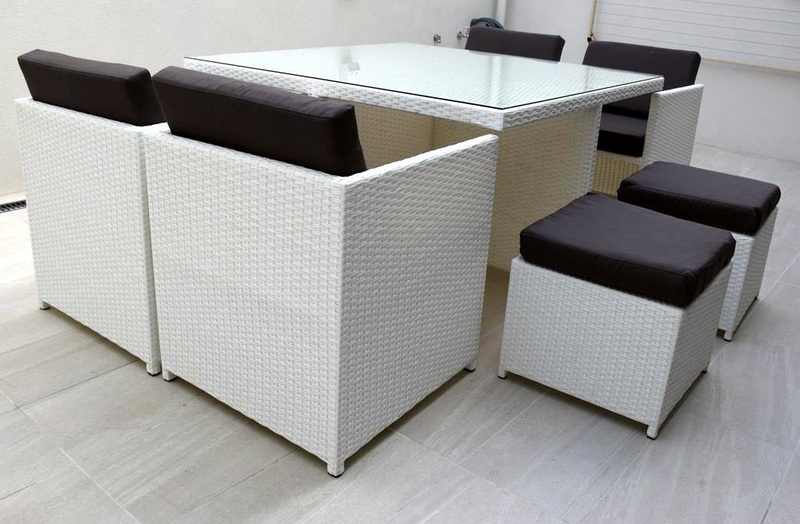 Made of all weather rattan. Made for the outdoor weather. Tempered glass table top.